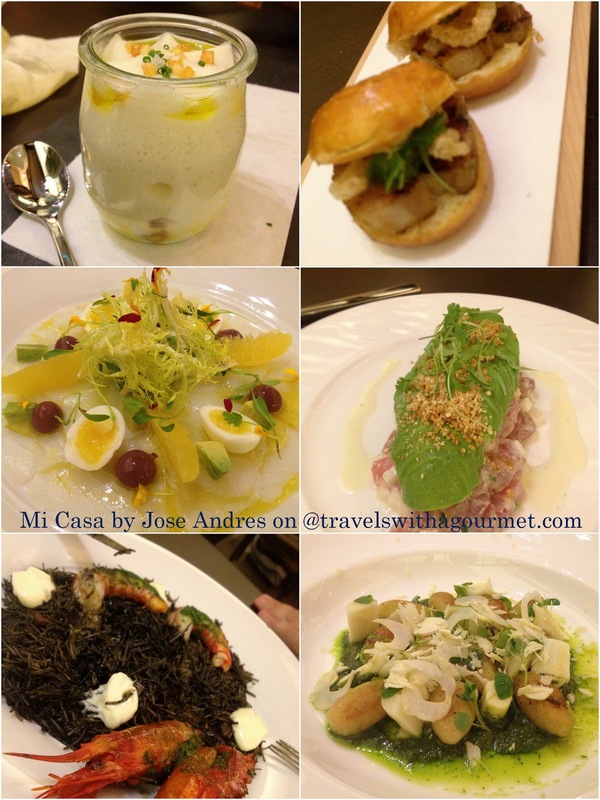 In order to move on, I need to close our Dorado chapter and start our Singapore life so what better way to end than with my final Puerto Rico post on the dinners we had Mi Casa by Jose Andres. The menu is divided into four parts – Tapas and Antojitos (starters of mostly tapas), To Follow (salads and soups) and Platos Fuertes (main courses) and Simply Prepared (mostly grilled fish or meat). There is also an option to do Jose’s Tapas Experience Menu, an 11-course small plates tasting menu which lets you experience the full flavors of his take on modern Caribbean cuisine. Some of my favorite Puerto-rican style tapas (moms of which are shown above) were the Bocadillo de lechon (roasted pork belly with chayote mojo and crispy crackling on a soft bun), ceviche de atun con coco y aguacate (tuna ceviche tossed in coconut milk and topped with fresh avocado and topped with crispy quinoa), cono de queso con lechoza (Canarejal cheese and papaya marmalade stuffed in a crispy mini cone) and the modern take on the Puerto Rican classic – the mallorca, a sweet brioche style powdered sugar coated bread filled usually with ham and cheese and grilled. This version is stuffed with foie gras and mango jam and is a must! Jose’s classic tapas like the croquets de pollo, served in an acrylic shoe as usual, are also present along with the not-to-be-missed jamon Iberico y pan con tomate. From the main courses, I loved the Rossejat Negra – a Catalan squid ink noodle dish sort of like paella served with Spanish langoustines and the gnocchi de yuca (Yuca gnocchi with hearts of palm and a Puerto Rican style pesto). 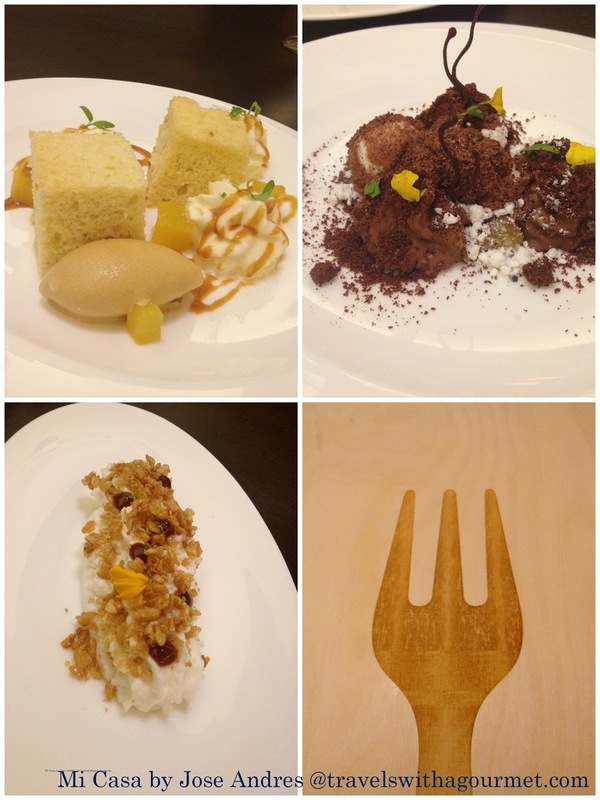 Desserts were also a treat from the Tres Leches – a Puerto Rican classic rum and pineapple cake to the arroz con coco – a light Caribbean version of rice pudding flavored with coconut milk and served alongside a tart guava sorbet and finally the tierritas de Puerto Rico – grated chocolate with the texture of soil (tierra is the Spanish word for it) topping homemade cocoa and vanilla ice creams. 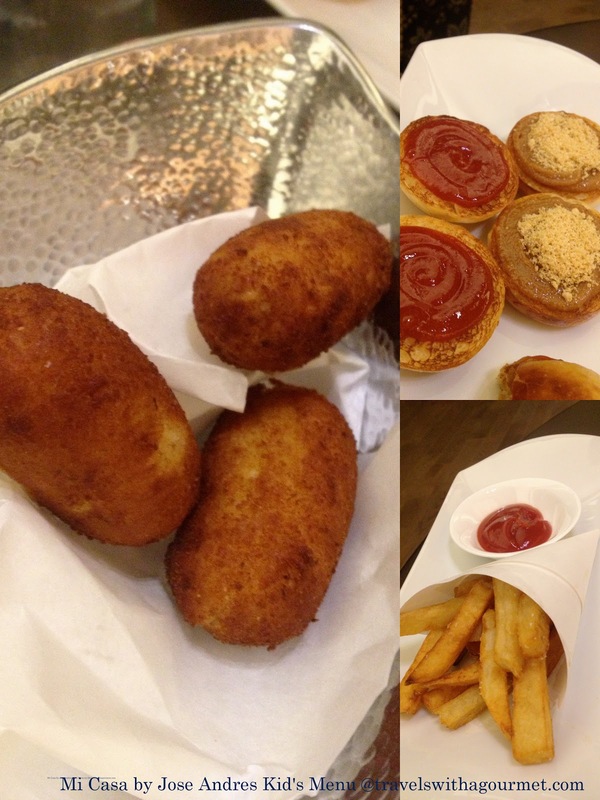 In case you though that Mi Casa was a formal fine dining restaurant, they also have a children”s menu filled with kid-friendly dishes (just don’t expect nuggets) – there’s a peanut butter and guava jelly sandwich on toasted mini-brioche buns, chicken and béchamel croquettes, mini rib-eye hamburgers with french fries or a simple grilled fish served with yuca puree. *Open daily for breakfast and dinner.